Guest post by David Krause at The Wilderness Society, who is a part of our America’s Most Endangered Rivers® series spotlighting the Colville River. 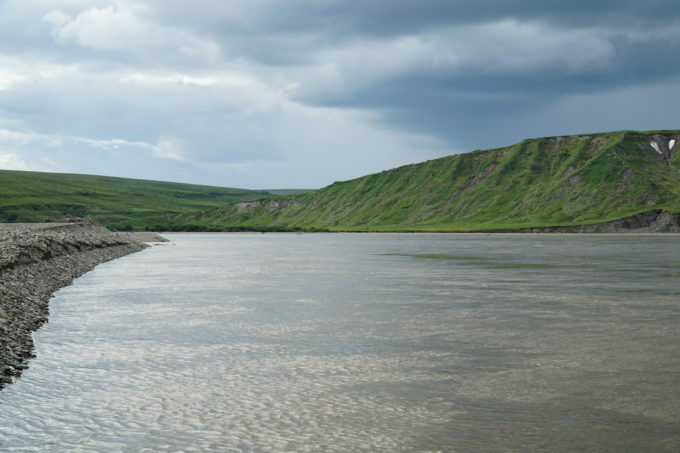 Earlier this year, American Rivers released its 2018 America’s Most Endangered Rivers® report, which included Alaska’s Colville River, or Kuukpik in the Iñupiaq language. 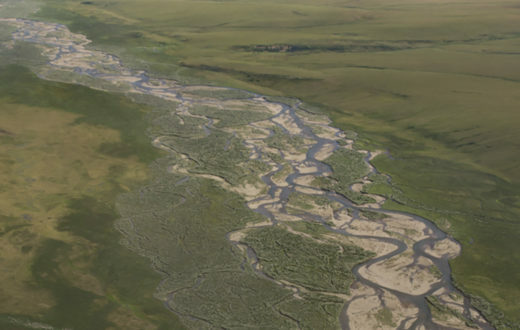 This remote Arctic river is one of the wildest in the country. 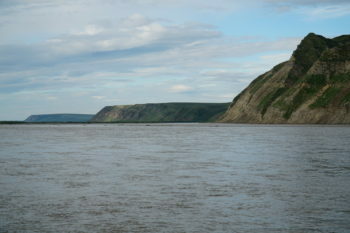 The river’s high bluffs provide nesting habitat for an extremely high numbers of raptors, particularly peregrine falcons, rough-legged hawks and gyrfalcons. Numerous species of fish, including Arctic grayling, salmon and broad whitefish, utilize the watershed during various life stages. To Arctic residents, the river is an important transportation route to access subsistence resources and culturally important sites. Because of the significance of these values, the Bureau of Land Management established the Colville River Special Area more than 40 years ago. 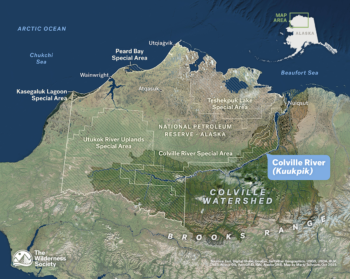 To the west of the Colville River in the Western Arctic is the remarkable (but very poorly named) National Petroleum Reserve – Alaska (NPR-A). This landscape’s name is a relic of an earlier time and not representative of its extraordinary ecological values and cultural importance. The NPR-A contains two caribou herds as well as large numbers of bears, wolves, wolverines, moose and other wildlife. This area also includes the Teshekpuk Lake Special Area, one of the largest and most unique wetland complexes in the circumpolar Arctic. Millions of birds migrate to this region every year to breed, raise their young, and molt. This treasured ecosystem, however, is facing significant, near-term degradation by industry and is threatened by shortsighted land use planning on the part of the Trump Administration. 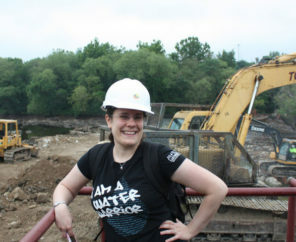 Only a few years ago, in 2013, a comprehensive, science-based plan was developed to allow for some oil development within the region while protecting special natural areas of high conservation value. Since then, however, industry has failed to meaningfully offset the impacts of their projects and has irreversibly compromised subsistence use areas of local residents. 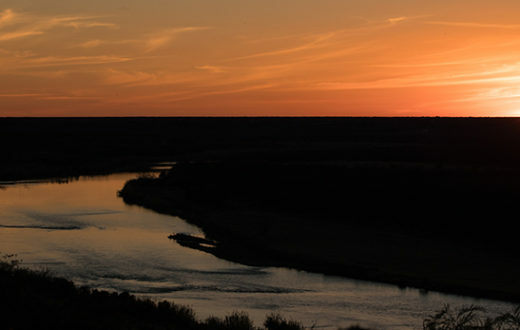 This month, the Trump Administration announced that it is beginning a formal process to dismantle the 2013 land management plan, which allowed oil and gas leasing in a little over half of the NPR-A. 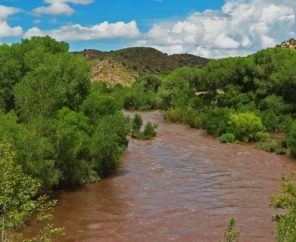 The Administration’s move to revise the plan will likely remove conservation protections for the remaining area, resulting in leasing and oil development in previously closed areas. Please take a moment to tell the Trump Administration to protect the Colville River and Teshekpuk Lake Special Areas, and the Western Arctic’s unique and fragile landscape. David Krause is the Arctic Lands Conservation Specialist with The Wilderness Society. Stop Trump and his distruction of the environment!